This is the fourth blog post on how to write research papers. Today, I will discuss how to write the introduction of a scientific research paper, some common errors, and give some tips. Why the introduction is important? The introduction plays a very important role in a paper. If the introduction is not well-written and convincing, the reader may decide to stop reading the paper. The role of the introduction is to explain the context of the paper, describes the problem that will be addressed in the paper, briefly mention why previous studies have limitations with respect to that problem, and then briefly explain what will be the contribution of the paper. A good introduction will have a clear logical structure, and will convince the reader that the problem addressed in the paper is worthy of being investigated (it is a novel problem that cannot be solved using existing approaches, it is not easy to solve, and solving this problem is useful). Moreover, the introduction will give an overview of the paper. On the other hand, a bad introduction will be poorly organized and will not convince the reader that the problem addressed in the paper is useful, important or challenging. Thus, after reading the introduction, the reader may lose his interest in the paper. Writing a good introduction is thus very important. What is the typical structure of an introduction? PART 2 (problem): Then, a problem is mentioned and why it must be solved. PART 3 (limitations): Then, the introduction briefly mentions that previous studies failed to solve that problem or have limitations. Hence, a new solution is needed (which will be described in the paper). PART 4 (contributions): The following paragraph briefly mention the main contributions of the paper and the key features of the proposed solutions. This may include one or two sentences about the results and conclusion drawn from these results. English errors: An introduction should be well-written and devoid of English errors. Poor structure: Some introductions do not follow the typical structure of an introduction, and are not organized in a logical way. In this case, the reader may feel lost, may become uninterested or may not be convinced that the research presented in the paper is worthy of being investigated. As a result, the reader may stop reading. A very long introduction, with unnecessary details: Another common mistake is to write a very long introduction that contains too many details. But an introduction should generally be no longer than a page. Often, an introduction will contain too many details about related work that are not relevant for the purpose of the introduction. The introduction should only briefly discuss related work to explain the motivation of the paper. More details about related work can be given in other parts of the paper such as a dedicated “related work” section. An introduction that is not convincing. The introduction needs to convince the reader that the research problem studied in the paper is important, useful and not trivial to solve. In many papers, a mistake is to not explain why the studied problem is useful. 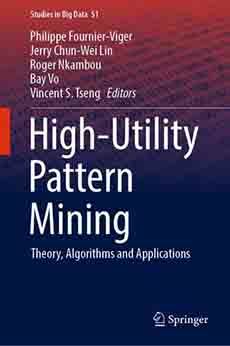 For example, in data mining research, I have read many papers that proposed some new algorithms, evaluated the algorithms with synthetic data, but did not explain clearly or show what are the real applications of the proposed algorithms. An introduction that omit some relevant related work. Sometimes, the introduction of a paper will not cite some relevant studies. This happens when the author is not very familiar with his field of research, and sometimes authors will purposely not cite some relevant papers for various reasons. This can cause a paper to be rejected by reviewers. Make a plan of the main ideas that you want to talk and the structure of your introduction before writing it. This will help to organize your ideas, and will help to create an introduction that is logically organized. When planning or writing your introduction, think about your target audience. Choose words and expressions that are appropriate for that audience. In the first paragraph, you can also explain the context of your work in a more general way to try to reach a broader audience. Reading the introductions of other papers, and studying their structure, can help to write better introductions. If necessary, ask a native English speaker to proofread your text. After writing the introduction, read it again, and spend some time to think about how you can improve it. Generally, taking time to read your text again will help to improve your writing skills. That is all for this topic! In this blog post, I provided some key ideas about how to write introductions of research papers. If you have any additional comments, please leave them in the comment section below. Hope you have enjoyed this post.